Permission is granted to temporarily download one copy of the materials (information or software) on this website for personal, non-commercial transitory viewing only. This is the grant of a license, not a transfer of title, and under this license you may not: modify or copy the materials; use the materials for any commercial purpose, or for any public display (commercial or non-commercial); attempt to decompile or reverse engineer any software contained on our website; remove any copyright or other proprietary notations from the materials; or transfer the materials to another person or "mirror" the materials on any other server. This license shall automatically terminate if you violate any of these restrictions and may be terminated by Golpokar.tk at any time. Upon terminating your viewing of these materials or upon the termination of this license, you must destroy any downloaded materials in your possession whether in electronic or printed format. The materials on Golpokar.tk are provided "as is". Golpokar.tk makes no warranties, expressed or implied, and hereby disclaims and negates all other warranties, including without limitation, implied warranties or conditions of merchantability, fitness for a particular purpose, or non-infringement of intellectual property or other violation of rights. 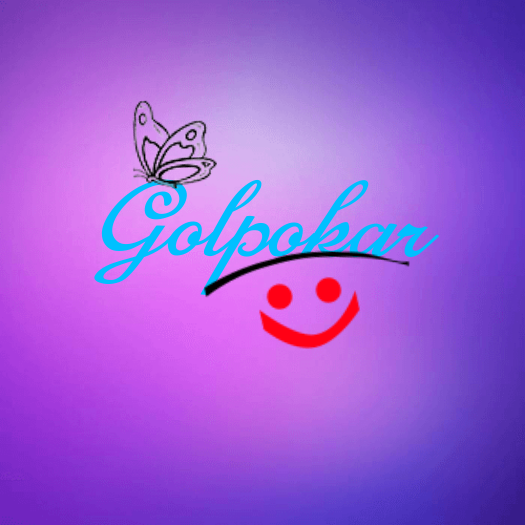 Further, Golpokar.tk does not warrant or make any representations concerning the accuracy, likely results, or reliability of the use of the materials on its Internet web site or otherwise relating to such materials or on any sites linked to this site. The materials appearing on Golpokar.tk could include technical, typographical, or photographic errors. Golpokar.tk does not warrant that any of the materials on its web site are accurate, complete, or current. Golpokar.tk may make changes to the materials contained on its web site at any time without notice. Golpokar.tk does not, however, make any commitment to update the materials. If there are any questions regarding this 'Conditions Of Use' you may contact us by visiting our contact page at Contact Us. We collect information from you when you register on our site or fill out a form. When registering on our site, as appropriate, you may be asked to enter your: name, e-mail address, Twitter ID or Facebook id. You may, however, visit our site anonymously. Any of the information we collect from you may be used in one of the following ways: To personalize your experience (your information helps us to better respond to your individual needs). Your information, whether public or private, will not be sold, exchanged, transferred, or given to any other company for any reason whatsoever, without your consent. Please also visit our Terms and Conditions section establishing the use, disclaimers, and limitations of liability governing the use of our website at Conditions Of Use. This policy was last modified on July 2018.